Sling TV is one of the most well known cord cutting options and for good reason. Sling is known for it’s low base cost, large amount of add on packages, and its quantity of sports streaming options. Sling TV offers a lot of the same channels as PlayStation Vue, DirecTV Now, and Fubo TV, but breaks them up into smaller packages so you don’t spend money on content you won’t watch. This article will discuss the benefits of the service and help you decide if it’s the best streaming option for you. Sling TV is a subscription streaming service that offers live TV channels without cable. It’s similar to Netflix or Hulu, but offers its content live instead of focusing on on-demand movies and shows. Unlike cable, Sling doesn’t have a contract or early termination fees and doesn’t require you to rent any hardware. It’s played over your internet connection and can be displayed on a variety of devices (we’ll discuss these later). What separates Sling from its competitors is that it markets itself as an al la carte alternative for cable TV. In an ideal world, consumers would be able to choose all of the channels they want and not pay for any extra. However, due to licensing and contract requirements, this fantasy world isn’t achievable quite yet. Although not completely al la carte, Sling is about as close as you can get. Instead of offering 1-4 larger packages, Sling offers two small core packages that have 30 or 45 channels and cost only $20 and $25 a month. From there, you can add on smaller and more focused packages that contain a handful of other channels for $5-10 more a month. These packages are targeted at specific audiences and contain similar channels. If you’re a sports fan, they have a package for that. If you have kids, they have children’s channels covered too. The larger variety of small options offers a flexibility that can’t really be found in Sling’s competitors. Sling TV has been constantly updating and changing their website to make channel selection easier. The first thing you need is one of their “core” packages before you can get any “add-on” packages. It seems pretty straight forward, but the biggest complication is figuring out what actually counts as a “core” package. At first glance of their website, you would probably assume that Sling Orange and Sling Blue are their only core packages. Orange and Blue are the two major core packages, but they aren’t the only ones. If you go to the channel selector and start messing around with it, you’ll start to see the other options with smaller channel-lineups labeled as “core”. It can be a little difficult trying to figure out “core” from “add-on”, but we tried to make it pretty clear in our tables below. Keep in mind that it is possible for you to get more than one package if it’ll give you the content that you want. These tables are a good reference for what Sling offers, but they might not be 100% up to date. If you’re trying to find the right streaming service for you, we recommend using our web application instead. It allows you to input your zip code and channel options for free and then tells you the best cord cutting option for your particular situation. If you want to see Sling’s updated package on their website, you can find them at Sling.com. You can also combine Sling Orange and Sling Blue for $40 a month rather than paying the price of both if you want the content from both. With so many different options, it gets pretty difficult and time consuming to figure out what package and addon is best for you. We’re currently working on programming a web app that interacts with our database to show you the best options based on the channels you want. When the web app is live, we’ll edit this post to link to it. Sports are one of the main reasons people are afraid to cut cable. Sports used to be locked tight behind the cable subscription pay wall, but those days are long gone. In fact, not only is it quite easy to watch sports without cable, you actually have a decent amount of options. Although you can watch sports on most streaming services, if available, Sling is probably the cheapest option. As you can see from the tables above, Sling TV supports a lot of different sports stations in both their core packages as well as some of their add-ons. Their basic Orange core package is only $20 a month and includes coveted sports channels like ESPN, ESPN2, and ESPN3. In fact, Sling Orange is the cheapest way to get ESPN without cable. If you continue to search throughout their packages you’ll find the Fox Sports channels, NFL, NBA, PAC 12, TBS, TNT, and plenty of other popular sports channels to make sure you’re not missing out on any important games. Another benefit for watching sports on Sling is that it offers a feature to track upcoming games. Gamefinder is an online search tool that allows users to find upcoming regular season NCAA and NFL games to watch on Sling. You can search for college or pro football matches by city, state, or team name. If you want matches specific to your location there is also a zip code search function. After you enter all of your search information and find the game you want, Gamefinder lists when the game will be played and which channel it will be on. It’s basically a super easy TV guide for sports on Sling. Sling TV does mention that some games may be blocked out on certain networks due to rights restrictions. For instance, the NHL playoff games were blacked on on Fox Sports channel last year because Fox didn’t own the rights to those specific games. As cord cutting becomes more mainstream, blackouts might become a thing of the past. Recently, NHL and Fox came to a streaming agreement that gives Sling TV, Playstation Vue, and other streaming platforms the ability to show these games without issues. A lot of people aren’t aware of it, but there is a way to bypass blackouts. Blackouts work by blocking users within the local market from watching the game without a cable subscription. Since the blackouts are only for the local market, the way around them is to trick them into thinking you’re out of state. You can fake the location of your computer by using a VPN. You may be familiar with VPNs if your office uses one to allow you to connect remotely to their server. Although your office probably uses an enterprise version, there are plenty that are available for personal use. They cost as little as a couple dollars a month and allow you to bypass blackouts and location restrictions while simultaneously securing your web browsing. If you’re interested in VPNs, we’ve written a VPN guide that explains them in more detail and covers a few of our favorite brands. Sling doesn’t only offer local and American sports. They’ve been pushing international packages that include cricket, football, and many other sports that have their own die hard fans. 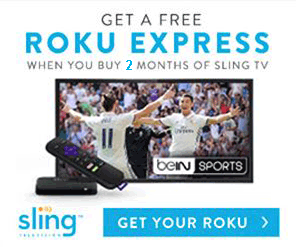 They even offer a free Roku Express if you pre-pay a year of Willow Cricket. For more information about what other sports channels you’ll get with Sling TV, you can read the sports page on their website. 50 Hours of storage – The 50 hour total storage lasts for an indefinite amount of time. Even if you want to record a show and watch it every day for the next 30 years you’ll be alright. However, once you reach capacity Sling automatically starts deleting your oldest programs to make room for new recordings. There is a setting to protect your recordings from deletion that you want to save, but make sure you use it before you lose something you want. Any amount of simultaneous recording – A direct quote from Sling TV’s website about the amount of recording is “Record one thing while watching another, or record everything while watching something else.” Sling TV’s goal is to personalize your cable offerings and allowing you to record whatever you want, whenever you want is part of that goal. ABC, Freeform, Disney, Disney XD, Disney JR, ESPN, EPSN2, ESPN3, ESPN Deportes, ESPN Goal Line, ESPN Buzzer Beater, ESPN Bases Loaded, and SEC Network. DVR Folders – With the amount of recordings people typically save when they use Cloud DVR, Sling TV created a folder system for similar shows or series. It might seem like a tiny addition, but it can be incredibly frustrating to navigate a disorganized DVR full of recordings. It is worth noting that even though you can download something, recordings cannot be viewed offline. Most streaming services can be watched on your mobile phone or computer. While a great option, that doesn’t do you much good on game day unless you plan to have everyone sit on the couch and crowd around your phone. In order to watch Sling on a TV you’ll need an additional device. Some Smart TV’s can play Sling by downloading the Sling app, but others need a little bit of help. These devices are basically small computers that plug into your TV, connect to your internet, and run different streaming services through their apps. The basic models start at $30 and can go up to $200+ for 4K devices for home theaters. It might seem like an added expense that brings the cost closer to cable, but don’t forget cable requires hardware too. Cable companies charge a monthly fee for modems, routers, DVRs, and additional cable boxes that can add up to more than a streaming device after only 1 month. One of the best things about Sling is it’s device support. Some services, like Philo TV, only give you the choice between one or two streaming devices that support it. This makes it more difficult and more expensive to switch services in the future if your channel preferences change. We typically recommend a Roku for first time cord cutters due to their simplicity, reliability, and low cost, but Sling is supported by almost every device. 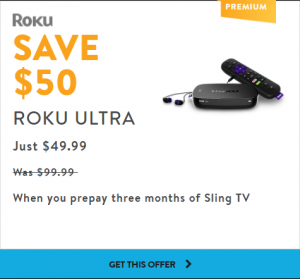 When determining which device to buy you should be conscious of how you plan to watch Sling TV, how many streams you need to watch simultaneously (multiple TVs), and your price range. Each of our guides linked above will say how many streams each device can support at the same time and if you need one per TV. Sometimes there are different models of each device that are intended for different uses (home theater, second TV, etc.). 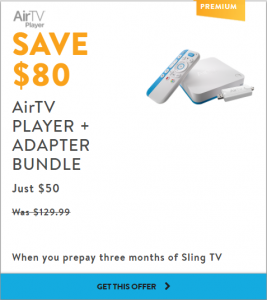 The following section also lists device offers from Sling when you prepay certain amount of months worth of the service. Free or discounted stuff is generally a decent reason to choose one device over another. One of the major reasons to prefer Sling TV over cable or it’s other cord cutting competitors is its price. Without a startup fee, contract, or overly excessive channel packages, you really do only get what you pay for (in a good way!). 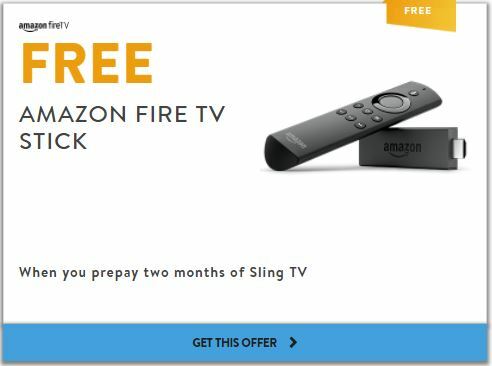 Sling TV still offers a variety of discounts and offers to help sweeten the deal even more. If you find yourself really enjoying Sling over traditional cable, you might end up talking about it with friends or family and encouraging them to sign up. Sling wants to help you do this by offering a refer a friend discount to you and any friend you sign up. If you sign up your friend, you’ll both receive $5 off your next month’s bill. Even though this is only a one time discount, $5 equates to a free month of an addon package. If you have a lot of friends the savings can really add up! 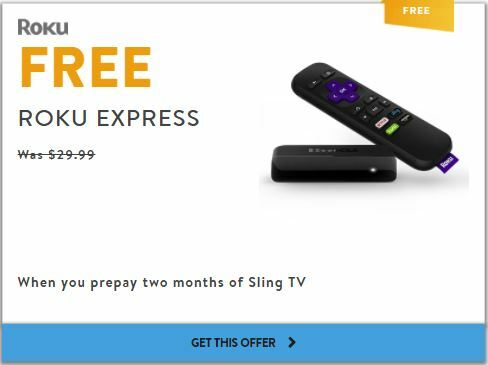 One huge offer from Sling is the ability to try the service free for 7 days. We always try to recommend users start with the free trial as an overlap period before cutting cable. It’s a fantastic way to figure out if the package is enough for you or if the service is what you expected. If you don’t like it, at least you won’t miss out on your favorite TV shows while you keep looking for a new alternative to cable. Don’t forget to make sure you have a device that supports Sling (list in the section above) ready to start streaming before you start your free trial. It’s also important to note that taking advantage of one of Sling’s device offers doesn’t give you a free trial. 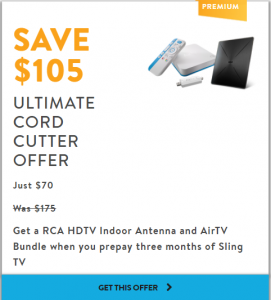 These offers are listed below and discussed further in our Sling TV Deals article that compares the benefits and savings of each deal. There’s a reason that Sling has been on top of the streaming world for as long as it has. Sling TV has a LOT going for it. In an industry riddled with customer complaints and contracts with huge fees, Sling gives users something they aren’t familiar with; options. The service has been out for about four years and has had plenty of time to work out any bugs or stream issues that plagued the company in its infancy. It’s now one of the most reliable services and boasts a high customer retention rate that shows how happy it leaves its customers. When you look to cut cable and start to make list of the channels you actually watch, you’ll likely find it a lot smaller than you thought. Your cable subscription that included 250 channels starts to seem ridiculous when you’re only using 11 of them. Sling TV gives you the option to get the same reliable service you had with your cable provider for a fraction of the price. We test all of the services and hardware we write about on this site. Sling TV is actually the service that started it all. We didn’t watch too many major networks anymore and liked the flexibility and price point of Sling so we gave it a try. As we continued to learn more about the difference services and dug deeper into the industry, we never found one that fit our needs better than Sling. In the time we’ve been using it, we’ve had no major issues or complaints and have continued to recommend it to our friends, family, and now our readers. One important thing to note is that Sling doesn’t offer many local stations. They’re continuing to expand their local offerings, but still only offer FOX and NBC in 16 TV market areas, they don’t offer CBS at all and only have ABC in 2 locations. 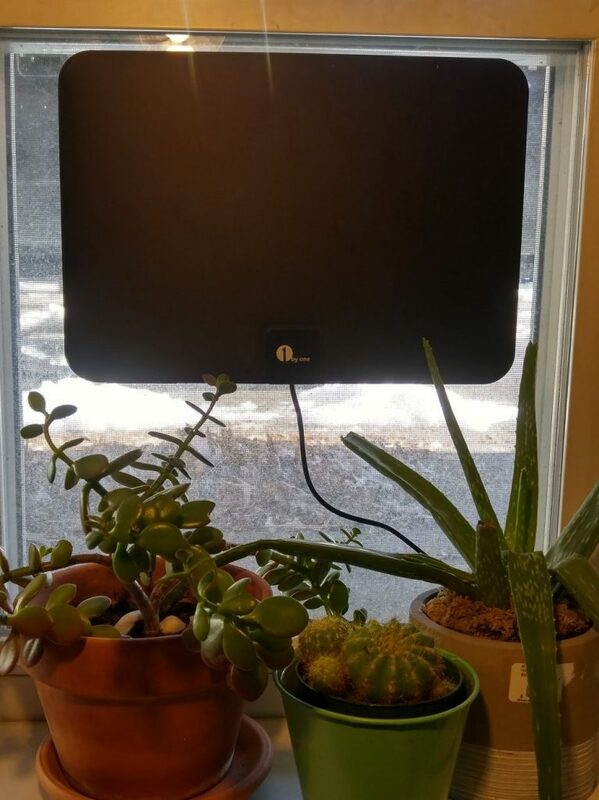 Luckily for us, our Boston location happens to be close to a lot of signal towers and we can pick up most local stations with an indoor antenna. Channel availability with an antenna is completely location dependent, but at least the option exists. By combining an antenna with a Sling subscription, it’s possible able to build a really solid cord cutting package without spending much money at all. The multiple different deals and offerings make Sling an ideal candidate for first time cord cutters who want to see how life without cable actually is. However, if you’re looking for an easy transition from cable then Sling probably isn’t the best option. If you add too many add-on packages to make it similar to cable, Sling can quickly become more expensive than other options. Something like DirecTV Now or PlayStation Vue offer bigger packages that might end up cheaper. Sling is for people who don’t watch too large a variety of channels or watch channels that are really similar. For this reason, we find that Sling works better for smaller households or a couple with young children. While some other services offer certain channels or packages that end up cheaper than Sling on a per channel basis, if you’re looking for a customization, Sling is hands down your best and cheapest option. Sling TV isn’t for everyone, but feel free to give it a shot and see if it’s right for you. You can’t beat Sling’s price for the first 7 days!